I've probably said this before, but it's still true: I have wimpy feet. My calves can handle walking in super-high heels, but my toes object to being smashed down into the front of shoes. It takes weeks to break my feet into a new pair of flip-flops in the spring. I try on dozens of running shoes before deciding on a pair that doesn't rub funny on my toes or heels and yet offers support for my slightly-higher-than-average arches. 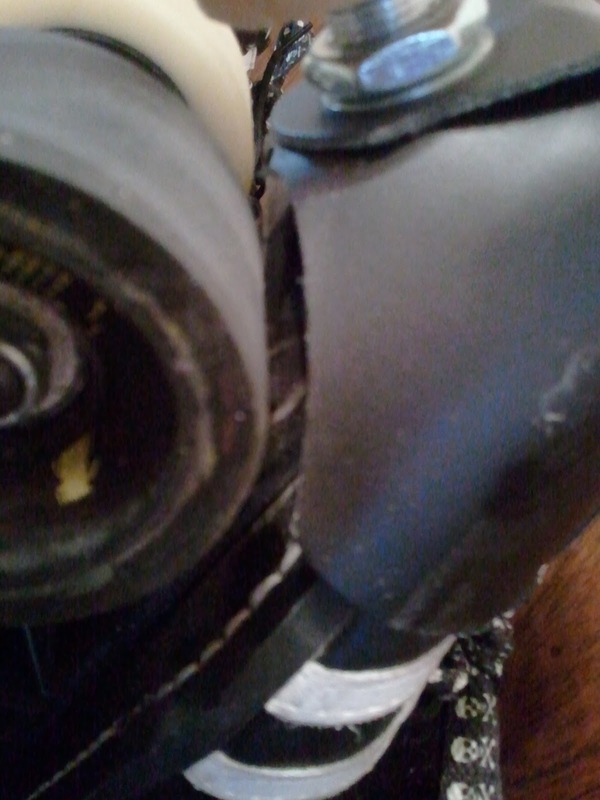 My first pair of skates (Sure-Grip Rebels) were pretty easy to manage. 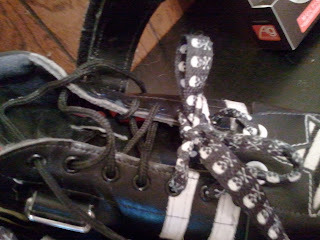 It took about a month to break them in, and I threw in an old pair of insoles. 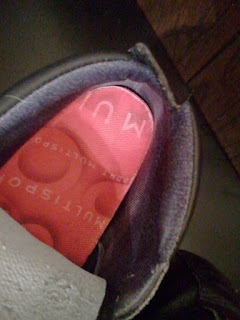 When those insoles wore out, I put in a new pair of the same crappy insoles. No problem. While I can tell an improvement in my skating and agility on my Riedell 265s, they still hurt my feet after a few months. The insoles that came in them hurt, the old ones I had hurt, a new pair of gel insoles I bought only worked okay and broke down really quickly. 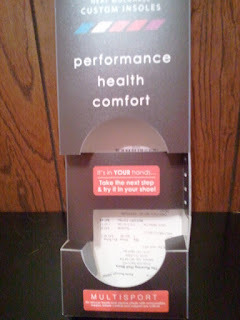 Finally, I gave in and spent $45 or so on insoles from a running shop with the promise to myself that I'd return them if they weren't perfect. These are not getting returned. Ever. Part of the discomfort was due to improper lacing, so I've toyed with it a bit. Right now the toes on my left skate are a little too tight, but otherwise I'm liking using two sets of shorter laces rather than one long pair. This allows me to control the top and bottom halves separately, rather than just pulling really tight and hoping that it distributes reasonably. 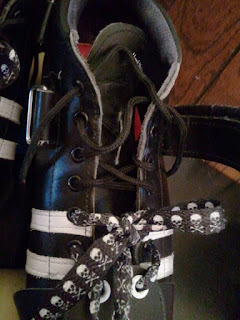 This started because I bought cute skull laces that turned out too short, but morphed into a solution I'm quite happy with for the time being. 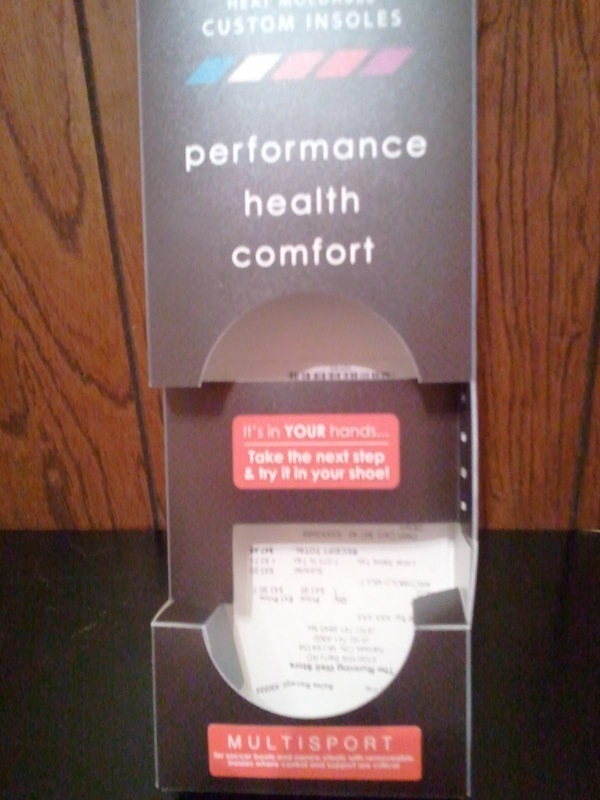 These insoles rock so much. If you don't have high arches, they're going to hurt out of the box. The cool thing is that they're heat-moldable to whatever your foot type is. The Etsy DerbyVixen toe covers I got for Christmas were rubbing on the wheels from time to time, so I've trimmed them down twice. Now I think they'll finally stay off my wheels. Wheel rubbing means slowing down. Obviously I don't want that! What are your skate tricks?